DICO works with other agencies that supervise Canadian financial institutions and with our provincial/territorial and international partners. The Ontario Ministry of Finance , the Financial Services Commission of Ontario and DICO work together to help make sure that Ontario credit unions are sound. DICO assists the Ministry of Finance in its policy-making function by providing information and analysis regarding the credit union sector. Through the provisions of its Memorandum of Understanding with the Minister of Finance, DICO also fulfils other duties as assigned by the government. The Financial Services Commission of Ontario (FSCO) regulates co-operatives, credit unions, caisses populaires, insurance companies and agents, loan and trust companies, mortgage brokers and pensions. FSCO's mandate is to enhance consumer confidence and public trust in the regulated sectors; and also to make recommendations to the Minister of Finance on matters affecting the regulated sectors. FSCO and DICO work together to co-ordinate activities and minimize the burden and cost to credit unions. Our letter of understanding with FSCO calls for DICO to provide FSCO access to its integrated monitoring systems, including examination reports. We work with FSCO to continue the tradition of excellence in consumer protection for depositors and credit unions in Ontario. 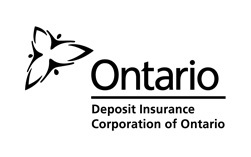 Each of Canada's 10 provinces has a provincial deposit insurer. 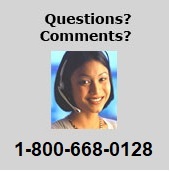 Visit our Links for access to the websites of the other provincial insurers. Deposit Insurance coverage varies by province. Credit union and caisse populaire prudential supervisors from all provinces have joined together to formalize their current collaborative relationships. The goal of the Credit Union Prudential Supervisors Association (CUPSA) is to enhance the consistency of regulation and supervision of credit unions and caisses populaires across Canada through sharing information and encouraging the coordination of approaches to address emerging issues in the sector and maintain a sound and sustainable system. We work with organizations that provide deposit insurance or similar depositor protection program in countries all over the world. We help update deposit insurance systems and learn from the work that others are doing around the world. The global financial industry is changing rapidly and credit unions are becoming larger and more complex. As the globalization of financial services continues, DICO must understand the changes that are occurring and how these affect Ontario credit unions and the provision of deposit insurance. In addition to providing direct assistance to countries, DICO participates in the development of international guidance for deposit insurance systems. This is being done through organizations such as the World Council of Credit Unions (WOCCU) . DICO is also a founding member of the International Credit Union Regulators Network whose objective is to share information between deposit protection agencies and to enhance harmonization of standards around the world.